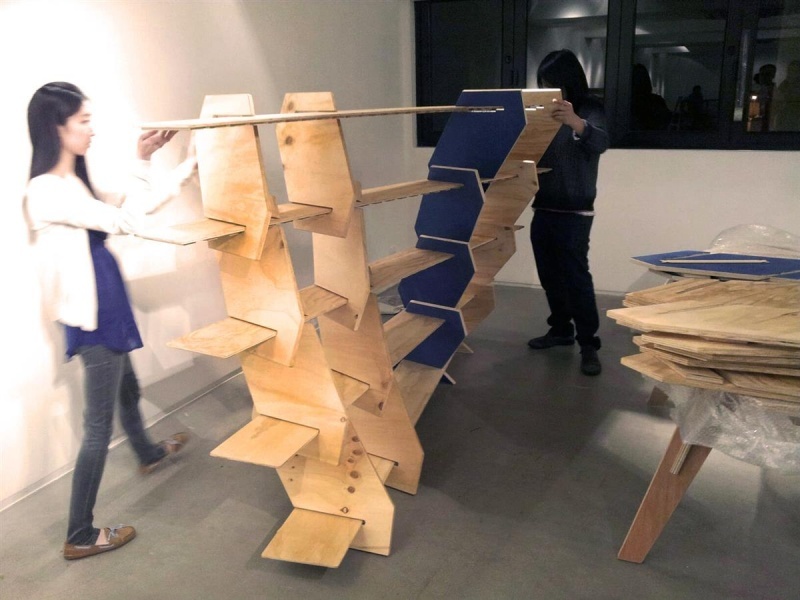 This functional shelf designed by Hong Kong based CNC programmer Victor Leung and architectural designer Mandy Lee to be easily fabricated, transported and installed for a single day community event. 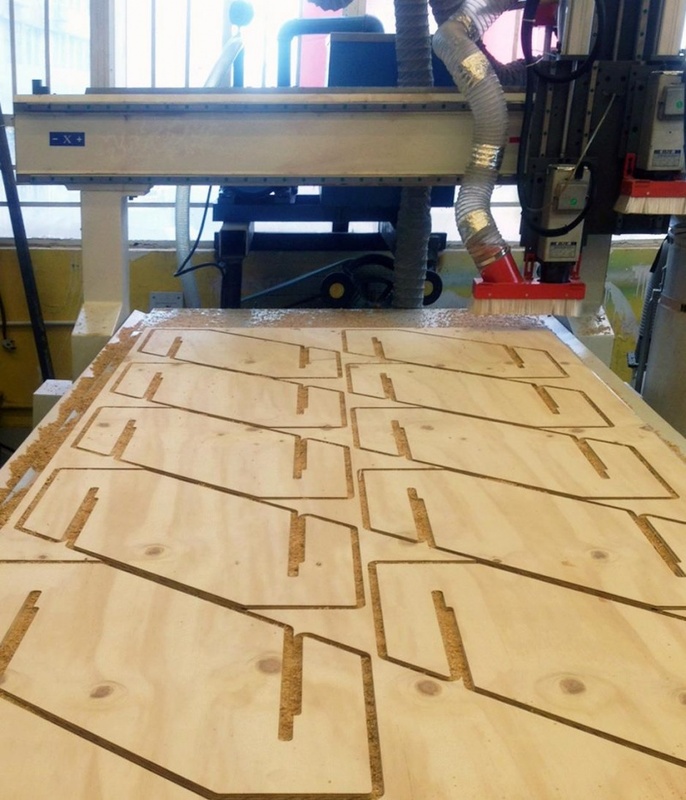 Fabrication by flat-bed computer-controlled router, a machine optimized for the fabrication of plywood components, creates the cuts from digital profiles efficiently and precisely. 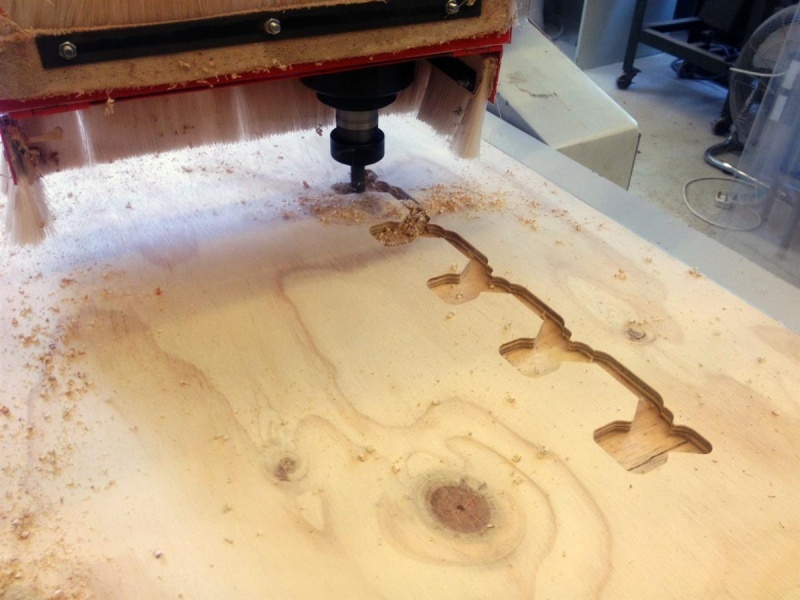 CNC Mahcine from Art Lab cutting the leaning piece. This shelf is flat-packed for delivery to this venue and can be handily stored for the next use. 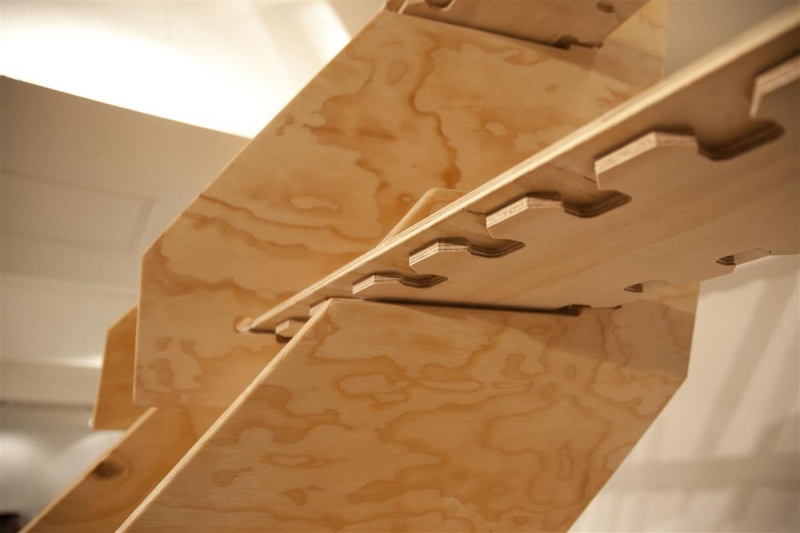 The only material used is pine plywood, which are sustainable via managed forest. 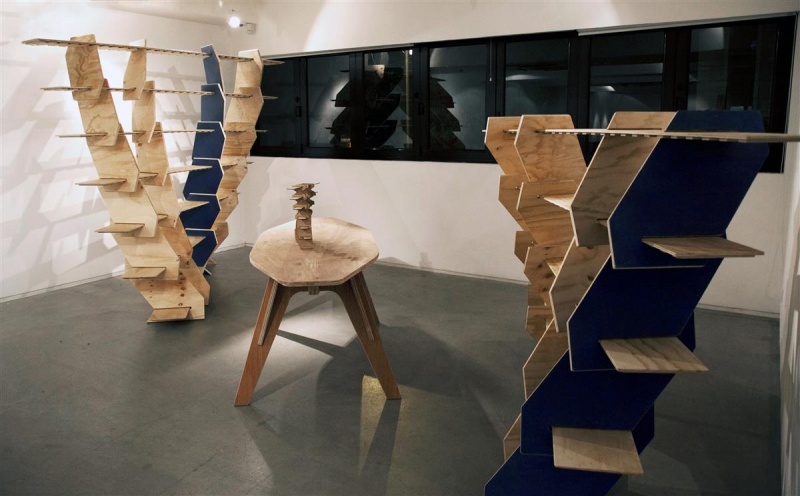 Cutting waste are minimized by carefully proportioning the shelf and efficient layout. 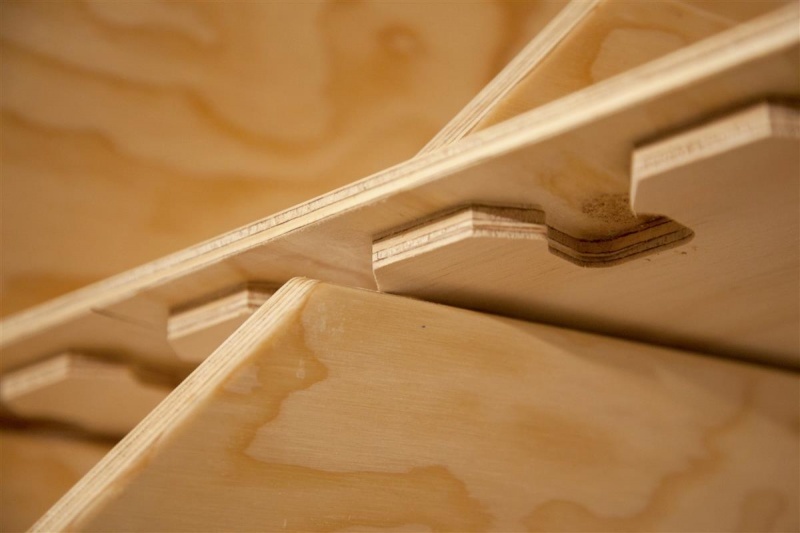 The shelving system achieves high material efficiency by placing materials only where it is needed. On site adjustment and other configurations (such as non-helical) are possible by altering the assembly logic or by changing the leaning plate. 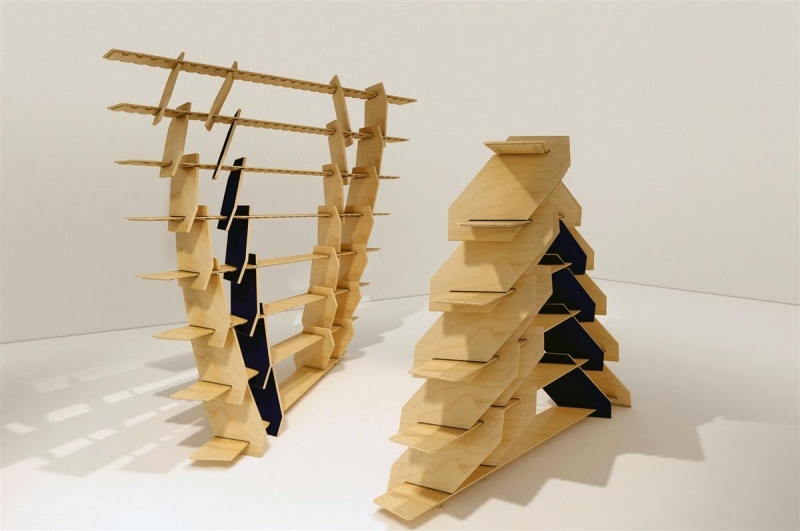 The vertical panels supporting the weight of the shelf are self locked by gravity due to the 20 degrees lean. Installation without the need for screws or bolts saves enormous amount of energy, cost and time. Horizontal board rotates as it stacks up, creating a helix for item display facing many directions. 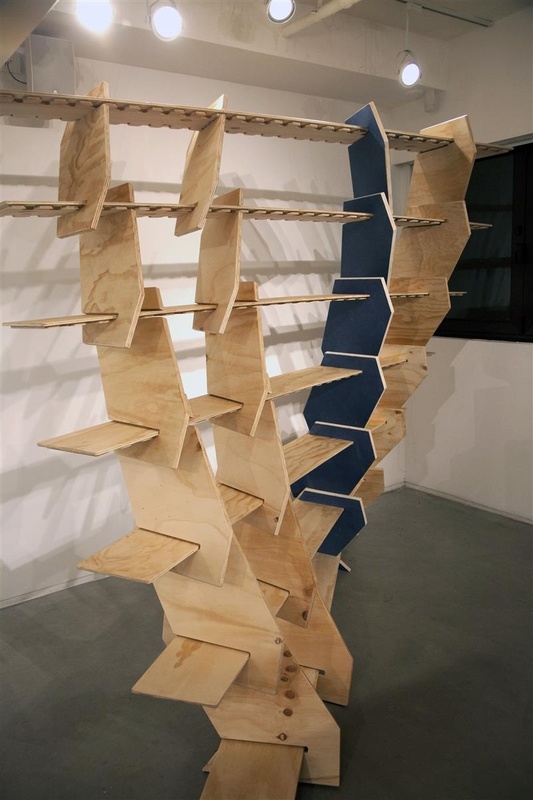 Such configuration allows people at different distance to see different items on display, which makes traditional shelves look boring.